Last year Electronic Arts sent shockwaves through the industry when they canned the anticipated Star Wars title from Visceral Games (Dead Space), shuttering the acclaimed studio in the process. 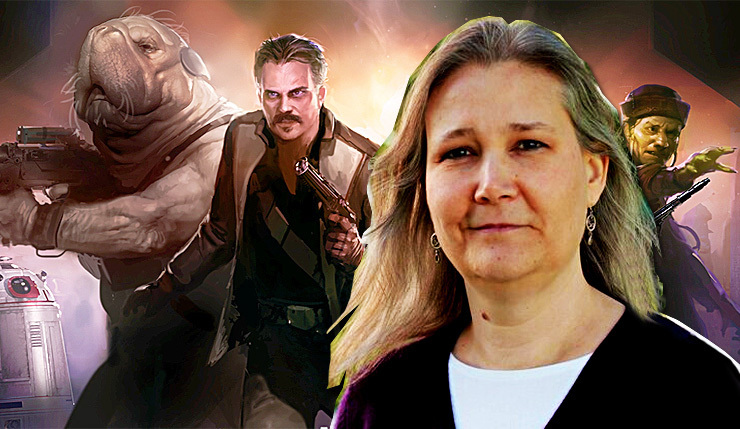 Since then, many fans have wondered about the fate of Amy Hennig. The Uncharted co-creator was the mastermind behind Visceral’s Star Wars project, so was she still with EA? Was she helping with the new Star Wars game in development at EA Vancouver? Apparently, not. Eurogamer managed to catch up with Hennig, who revealed she’s been gone from EA for some time, and that most of the work done on her Star Wars project has been shelved. Hennig’s comments about EA Vancouver’s Star Wars project are somewhat surprising, as EA previously hinted they’d reuse a lot of stuff from Visceral’s game. Seems that may have changed, or perhaps was never the case. As for Hennig, she’s going the independent route, with a new studio that will focus on making VR games. I’m not a huge VR fan, but I can understand why Hennig is going that route. The kind of linear, roller coaster experiences Hennig likes to make are a good fit for VR. That said, I can’t help but hope that Amy Hennig eventually makes up with Sony and/or Naughty Dog.